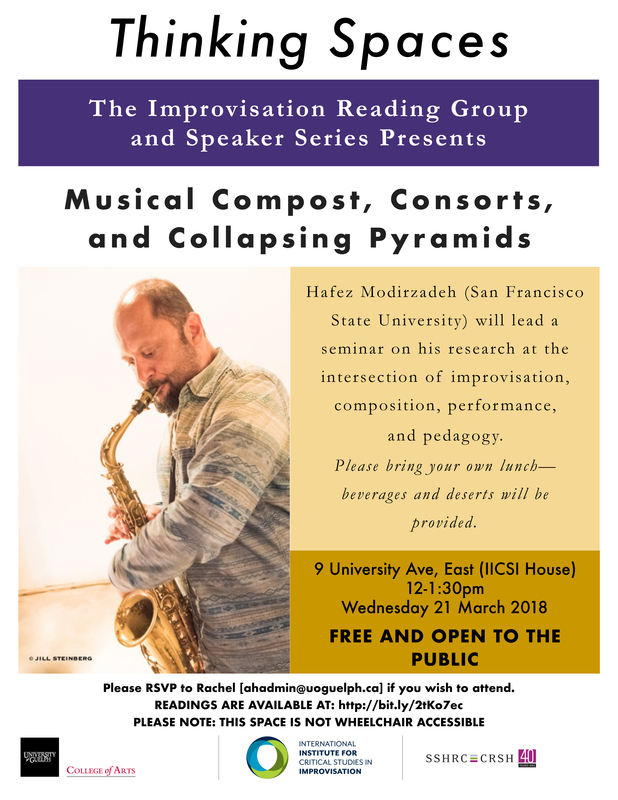 Hafez Modirzadeh (San Francisco State University) will lead a seminar on his research at the intersection of improvisation, composition, performance, and pedagogy. 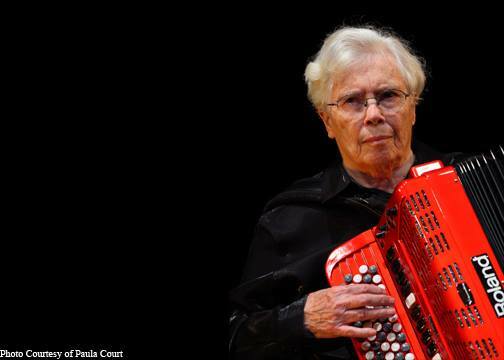 This event will be of interest to composers, performers, and individuals interested in pedagogy. Thinking Spaces: The Improvisation Reading Group and Speaker Series is hosting this event on Wednesday, March 21, 12:00 pm-1:30pm, at the IICSI House at 9 University, East. Hafez Modirzadeh focuses on original, creative, and cross-cultural musical concepts. As a theorist/composer and saxophonist, his recorded works are released on Pi Records, while his published research continues to unfold a philosophy of sound and metaphor that includes “Aural Archetypes” (Black Music Research Journal), “Compost Music” (Leonardo), “Convergence Liberation” (Critical Studies in Improvisation), and “Chromodality” (Wesleyan University). Both an NEA Jazz Fellow and Senior Fulbright Scholar (Spain, Turkey), Modirzadeh is currently a Professor of Music at San Francisco State University. The Thinking Spaces Improvisation Reading Group and Speaker Series is a project of The International Institute for Critical Studies in Improvisation, a partnered research institute comprised of 56 scholars from 20 different institutions, hosted at the University of Guelph (with project sites at McGill, Memorial, Regina, UBC, and University of California – Santa Barbara). 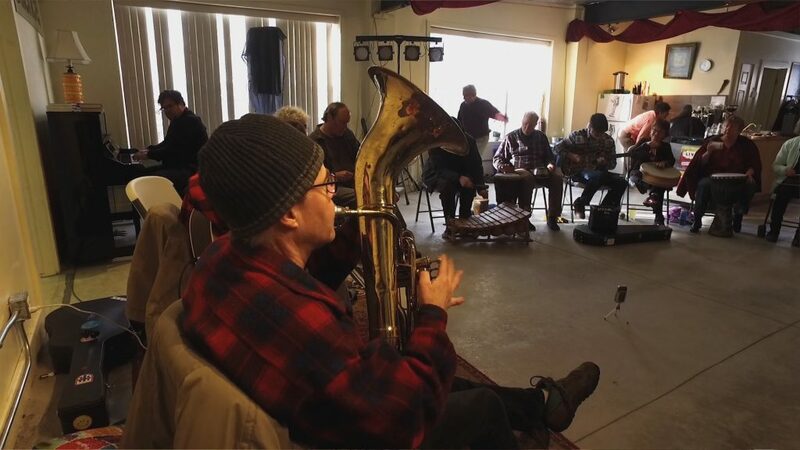 The Institute’s mandate is to create positive social change through the confluence of improvisational arts, innovative scholarship, and collaborative action.